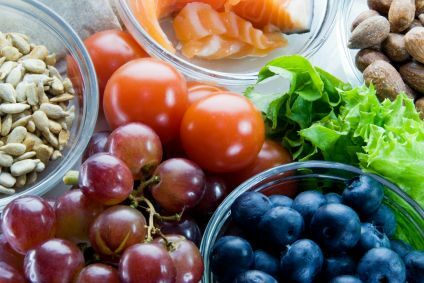 We all know how important it is to eat a healthy diet for our internal health, but did you know that the same foods we are advised to consume have a tremendous effect on the health of our skin? Consuming free-radical forming processed foods increase inflammation in the body and contribute to skin conditions such as acne, premature aging and redness. Read on to learn what foods are best for fighting inflammation on the inside and out. Berries like strawberries, blueberries and blackberries contain some of the highest antioxidant levels found in nature. These antioxidants help protect our skin from free-radical and cellular damage. Berries make an excellent topping to oatmeal (the non-instant whole grain kind also prevents inflammation), or as a part of a delicious smoothie recipe. Greens of this type include kale and spinach. These greens are loaded with antioxidants and the skin-beneficial vitamins A and K (A increases collagen and elastin production), (K fights flushing by strengthening capillaries). Try incorporating these vegetables into a salad. Their high fiber content also makes them the perfect filling smoothie component. Oils and fat often get a bad rap as causative factors for inflammation, but it depends completely on the type. Foods rich in Omega 3 fatty acids include fish (salmon and herring), nuts (walnuts and almonds) and oils (avocado and olive). These nutrient dense foods will help fight inflammation in the body and will contribute to heart health. A diet rich in healthy oils and fats will also help balance the skin’s natural barrier keeping it plump, youthful looking and glowing.